Writer and broadcast journalist Paul Chaderjian will speak about his newly published book, “Letters to Barbra,” at 7:30 p.m. on Tuesday, Feb. 12, in the University Business Center, Alice Peters Auditorium. The presentation is part of the Armenian Studies Program Spring 2019 Lecture Series and is supported by the Leon S. Peters Foundation. "Letters to Barbra" is the story of an outsider, Adam, who, in his boyhood, wrote letters to his idol Barbra (Streisand) in war-ridden Beyrouth. Rescued as a war refugee, he becomes marginalized in Central California schools. Friendless and ridiculed for his foreignness, he finds solace in darkened cinema theaters. Adam’s struggle with soul-crushing jobs, those “necessary” stepping stones to his dream, may lead some to wonder if certain men and women are merely destined to perpetually seek a home, only to find that their journey is without destination. 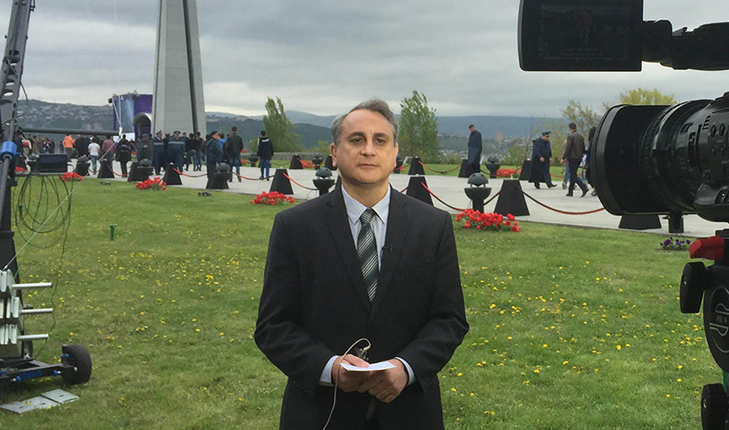 Chaderjian has reported for Al Jazeera, CNN, ABC News and television stations in Fresno, New York, Yerevan, Los Angeles and Honolulu. For the past five years, he was a senior producer for the Al Jazeera Media Network (AJMN), based in Doha, Qatar. Celebrities he has interviewed include Cher, Kim Kardashian, Charles Aznavour, several high-ranking House and Senate members, State Department officials, and a number of U.S. Foreign Service representatives. Chaderjian has a graduate degree in mass communication and journalism from Fresno State and an undergraduate degree in cinema-TV production from the University of Southern California. Copies of “Letters to Barbra” will be on sale at the lecture. The lecture is free and open to the public. Free parking is available in Lot P6 or P5 with a parking code available by calling the Armenian Studies Program office. For more information about the lecture, please contact the Armenian Studies Program at 559.278.2669 or visit its Facebook page at @ArmenianStudiesFresnoState.